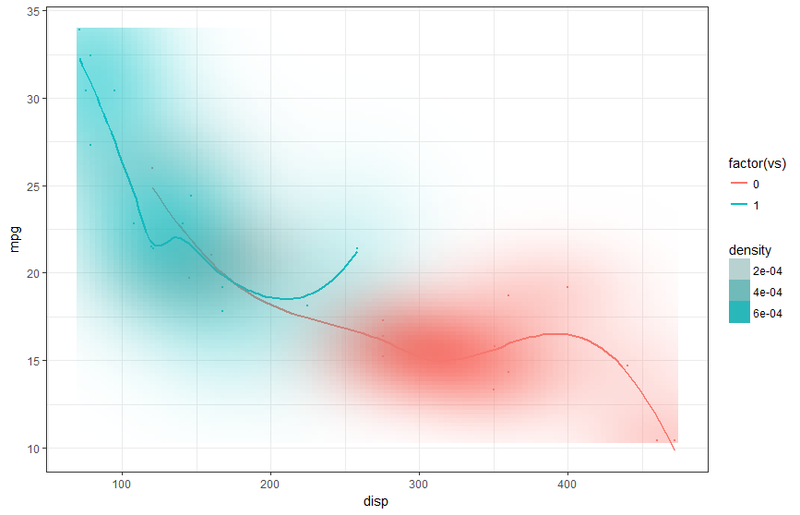 I would like to add a kernel density estimate for 2 types of data to a ggplot. If I use the following code, it displays a kernel density estimate for the 2nd factor level only. 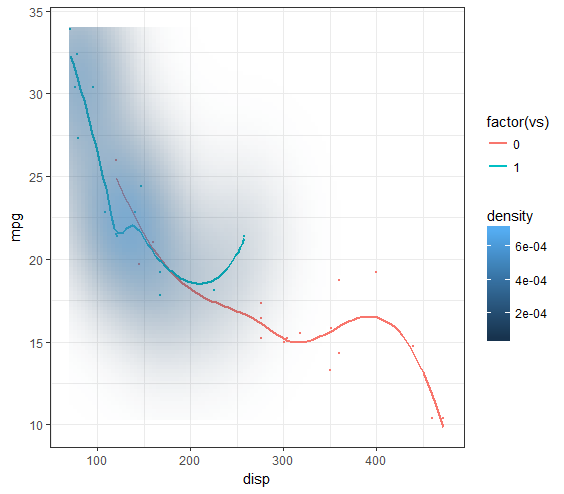 How do I get a kernel density estimate for both factor levels (preferably different colors)?